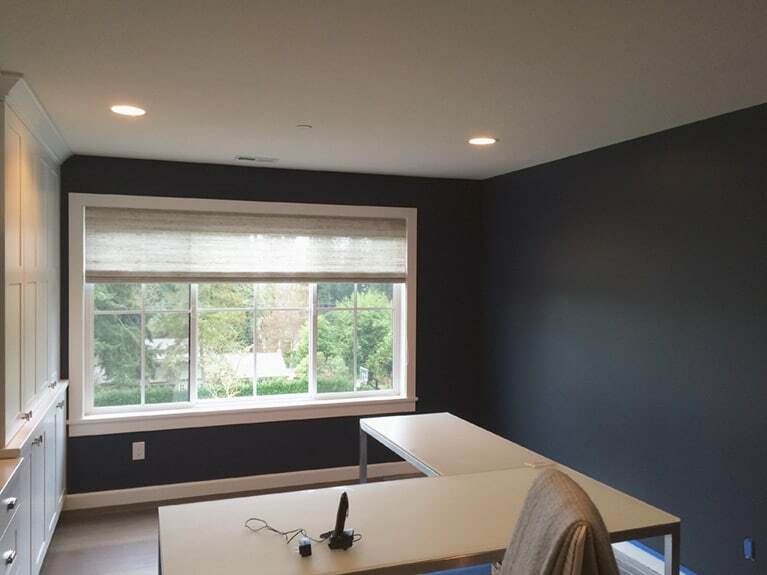 Fresh modern color painted in office space. 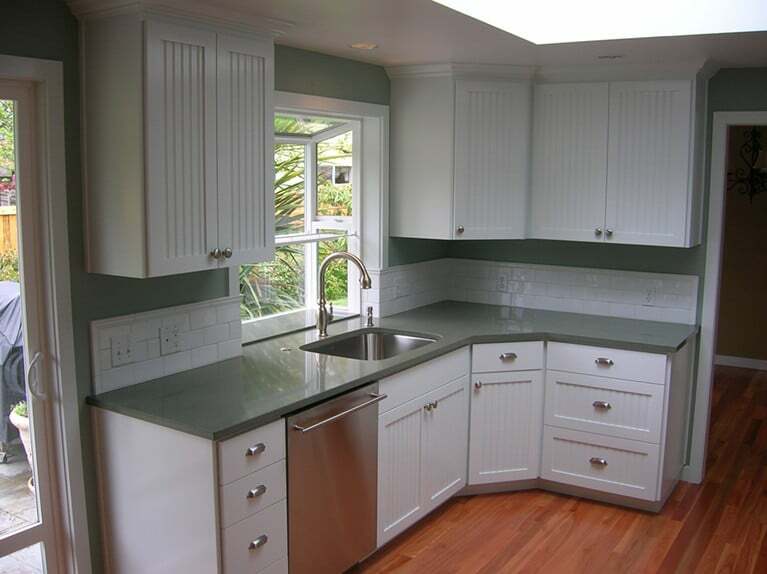 These existing kitchen cabinets had not been painted in years, and had a brushed finish. Cabinets were sanded and prepped before spraying with a semi-gloss enamel to achieve a modern smooth, like-new finish! 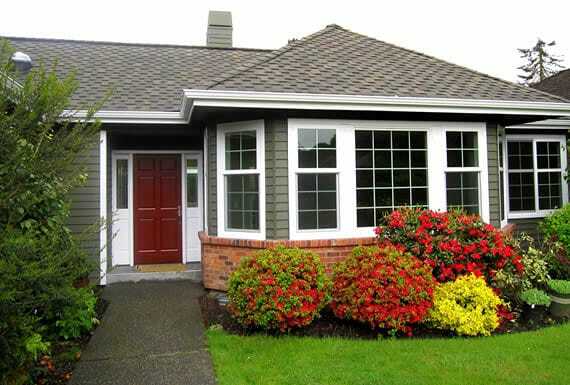 Freshly painted exterior with red accent color for front door to create the ideal welcoming entry. 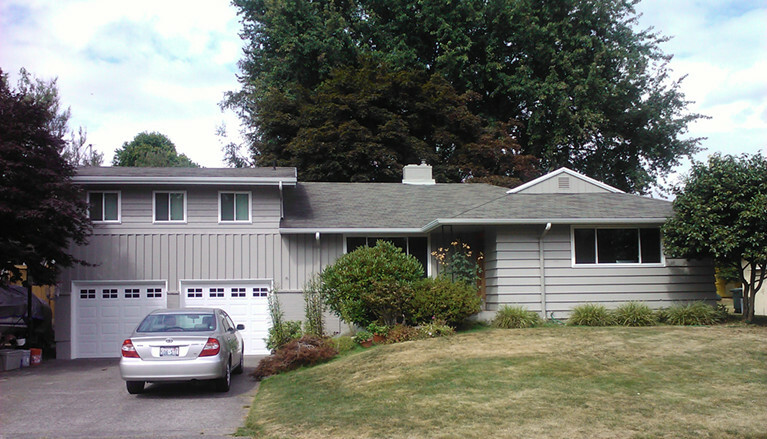 This home had some peeling and weathering on the south side, and it required sanding and priming before painting. The home was thoroughly prepped to ensure the paint would last for many years to come. 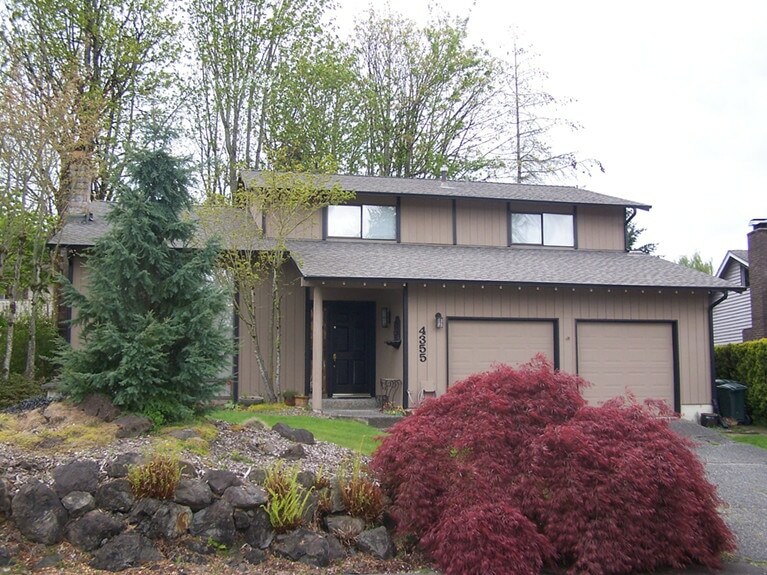 Owner had installed new windows and garage doors, and the exterior painting was the final touch.